Hobbies: Looking out the window, running full speed at the dog park, playing in the snow, being with my mom, eating good food, chewing on my bones, sighing LOUDLY. Goals: To always be the best dog I can be. I like making my mom proud. Dislikes: Dad moving to a new state, plastic bags, being home alone. Send some snow over here! I am such a proud mom! What a wonderful feature! Bruno is VERY excited! Chancy Chance says hello! U R lookin so serious and pondering life (which bone to eat next, most likely!) 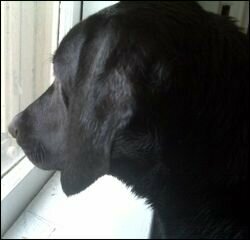 looking out the window! What a cutie patootie!!! 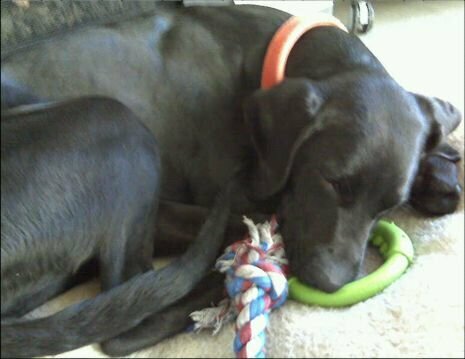 Bruno, so great to see your story here and you are so CUTE snuggled w/ your toys! thanks for the followfriday shout out. I LOVE reading about you!! You are sooo handsome :0) *batting eyelashes! !